Since graduating with a First Class Honours Degree Simon has performed in numerous orchestras including; Birmingham Bach Orchestra; Birmingham Contemporary Music Group; City of Birmingham Symphony Orchestra; Czech Philharmonic Orchestra; English Baroque Ensemble; English Concert Orchestra ; English Symphony Orchestra; London Gala Orchestra; Longborough Festival Opera Orchestra; Moscow City Ballet Orchestra; RTE Concert Orchestra and Southern Sinfonia. Simon’s commercial music has involved concerts, tours and recordings with: The Royal Shakespeare Company; Roger Daltrey; Alice Cooper; Gary Brooker; Paul Young; The Divine Comedy; The Temptations; The Four Tops; Johnny Mathis; and Barry Manilow. His recording credits also include; Tomorrows world; League of Gentlemen and Shooting Fish. 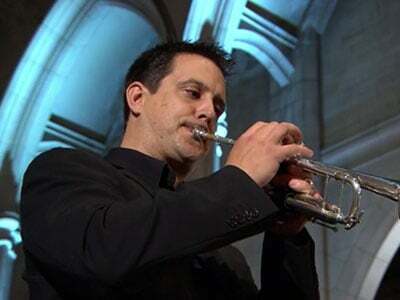 Simon’s teaching experience includes Head of Brass at Solihull School; trumpet teaching at Bristol University; Clifton College; Badminton School; and Christ Church Cathedral School. Simon recently performed on the 2012 Il Divo Tour and again with Il Divo and Katherine Jenkins 2013.In 2014 he performed trumpet on the Johnny Mathis Tour. 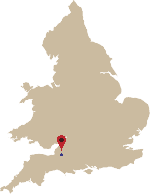 Simon Jones has taught at Wells Cathedral School for over ten years. He specifically enjoys teaching the diverse age range at Wells from the Junior School up to the pupils aspiring to become professional trumpet players. Simon’s coaching experience includes: The National Children’s Orchestra, National Children’s Wind Orchestra,The National Youth Wind Orchestra of Great Britain, National Youth Wind Ensemble, National Youth Wind Sinfonia, Kent Youth Wind Orchestra, Gloucester Academy of Music, South West Youth Wind Sinfonia, Schools Philharmonic Orchestra, Musicale Music Courses, South West Music School and IAPS Training Concert Band. This keen interest in young performers led to his involvement in an educational and cultural exchange with the Mathieson Music School in Calcutta.